Cassia Tora is a dicot legume known as sickle senna, sickle pod, tora, coffee pod, tovara, chakvad and foetid cassia. It is mostly found in South-East Asia and the South West Pacific as an important weed. It is considered a wild weed, wild peanut or pistache that has many healing benefits. The plant is an herbaceous annual foetid herb. The plant can grow 30-90 centimeters high and consists of alternative pinnate leaves with leaflets mostly with three opposite pairs that are obovate in shape with a rounded tip. The leaves grow up to 3-4.5 centimeters long. The stems have distinct smelling foliage when young. The flowers are in pairs in axils of leaves with five petals and pale yellow in colour. Cassia Tora yellow flowers occur in pairs with stamens of unequal length producing pods that are somewhat flattened or four angled, 10–15 cm long and sickle shaped, hence the common name sickle pod. There are 30-50 seeds within a pod. The seeds, roots and leaves from this plant has been shown to be very beneficial to the modern system of herbal medicines. The whole plant as well as specific parts such as roots, leaves and seeds have been widely used and was suggested to combat different diseases afflicting rural and traditional practitioners of Satpura region of Madhya Pradesh, India. Cassia Tora is one of the recognized anthraquinone (organic compound) containing plants and has been used in Chinese and Ayurvedic medicine. Cassia Tora is very stress tolerant and is an easy plant to grow. In India, it occurs as a wasteland rainy season weed. Its flowering time is favourable after the monsoon rain. Cassia Tora can grow in dry soil throughout tropical parts and high hills of elevation (Himalayas) of up to 1800 meters as well as the plains. It mainly grows during the period of October to February. The seed has vast soil reserves that can remain viable for up to twenty years and can produce up to 1000 emerged plants per square meter following a precise germinating rain. Once the seed has matured, it is gathered and dried in the sun. Cassia Tora has many uses. The plant and seeds are edible. The edible part of the plant varies from 30 to 40 percent. Young leaves can be cooked as a vegetable while the roasted seeds are a good substitute for coffee. It is used as a natural pesticide in organic farms and its powder is most commonly used in the pet food industry. Alternatively, it is mixed with guar gum for use in mining and other industrial applications. The seeds and leaves are also used to treat skin disease and its seeds can be utilized as a laxative. This weed could also become a reliable cheap source of nutritious feed for Ctenopharyngodon idella, a fast- growing exotic carp. Cassia Tora tea is a herbal, pure, natural and non-polluted green health beverage. In the Republic of Korea, it is believed to rejuvenate human vision. Additionally, the tea has created a new term “coffee-tea”, because of its mysterious but very rich taste and its coffee aroma. It is made from 100 percent Cassia Tora, with no artificial colouring and no caffeine, and could be a healthier substitute for coffee and sodas. Since Cassia Tora has an external germicide and antiparasitic character, it has been used for treating skin diseases such as leprosy, ringworm, itching and psoriasis and also for snakebites. Other medicinal provisions from plant parts include balm for arthritis using leaves of Cassia Tora. 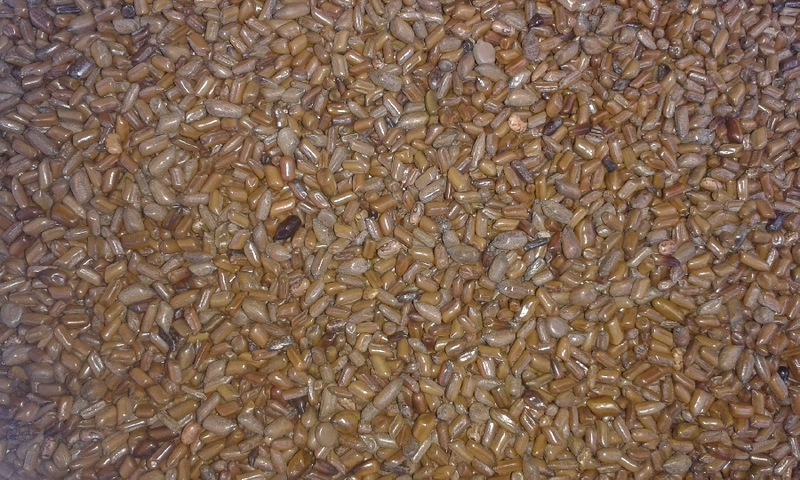 A natural gelling agent that has industrial and food benefits is made from the seed. The primary chemical constituents of the seed include cinnamaldehyde, gum, tannins, mannitol, coumarins and essential oils (aldehydes, eugenol and pinene). The seeds also contain sugars, resins and mucilage, among other elements. An immense reason for why it is not grown more often is because of lack of knowledge people have of the plant. Cassia Tora is not well known for many sustenance farmers in the region of where it is optimal to plant. Cassia Tora is very affordable. It would be a great benefit to them as said in the economic section that it can be a large production for CT gum. Families of sustenance farmers or urban families can benefit from the medicinal and nutritional uses that it has because they would not have to spend as much money on buying goods such as laxatives, medicinal creams and ointments, coffee, and some vegetables.